← Surprise Saturdays: Fashion Doll Bonanza – A BIG Week! 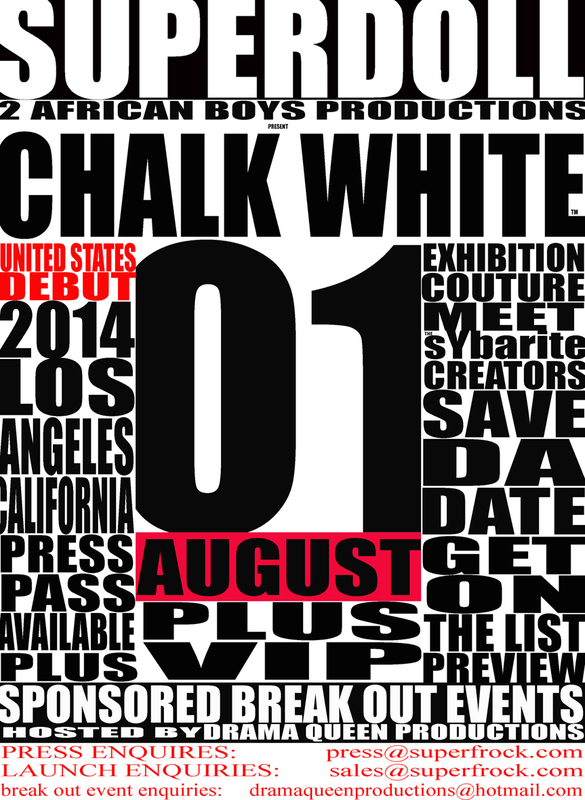 Mark your calendars now, friends…Superdoll of London is bringing their Chalk White Exhibit to Los Angeles this August 1, 2014. The exhibit promises to be a true testament of fashion and visual artistry to fascinate and thrill. This is the 2014 ticket to have…so make a point to start arranging your visit.